On this page, you’ll find helpful links to information about homeschooling in general and homeschool information by state. If you would like to recommend a helpful homeschool link that is compatible with our website, please contact us! Thanks! We recommend that homeschooling families join HSLDA. Even if you never experience legal trouble yourself, your HSLDA membership will help enable other homeschooling families to get the legal help they need and will help defend our right to homeschool in the USA. 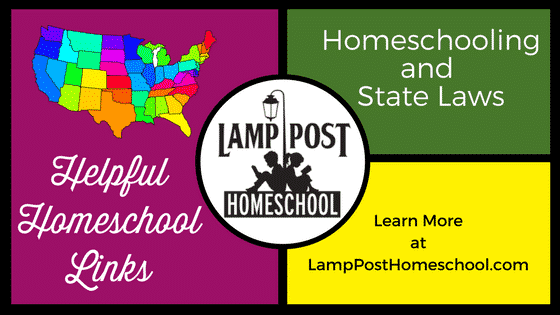 Lamp Post Homeschool Store members save on the HSLDA membership price when you enter our Discount Group code 299738 on the HSLDA membership form! Use our group number to get a $15.00 discount on your membership with HSLDA! This ministry that helps Christian parents research homeschooling. Also, if you have a homeschool support group, you might want to visit this site to start a local outreach to those who are considering homeschooling. The mission of Considering Homeschooling includes providing inspiration and encouragement to Christians considering homeschooling; promoting Biblical home education; reporting accurate statistics and outcomes of home education; helping to raise a generation of strong Christian leaders through Christian Biblical Teachings. Help for Christian families homeschooling special needs children. State Regulation of Private and Home Schools Choose your state to find the state law. At the bottom of each page are Web Resources-helpful links for more information and contact information for that state’s department of education. If you would like us to list your state organization on this page, please contact us! Home School in Colorado at the Colorado Department of Education website. Illinois Homeschool Law From the ICHE (Illinois Christian Home Educators) website comes information about homeschooling in their state. Christian Home Educators of Kentucky CHEK is a Christian Home School Organization that provides services and help for all homeschool families of any race, color, religious belief or creed. CHEK is an informative website for Kentucky homeschoolers. Find information about homeschooling in MA in the very last paragraph of this webpage. Read about Homeschooling in Massachusetts by HSLDA (Requires your info). Home Education Page at the North Dakota Department of Education Find information about homeschooling in ND. Read about Homeschooling in North Dakota by HSLDA (Requires your info). Homeschool Law Guide by PA Homeschoolers Free download! If you are homeschooling in Pennsylvania, this guide is very helpful. 2014 Act 196 Read the text of the PA homeschool law: 2014 Act 196. Share with your school district if they ask for a portfolio this year. CHAP Christian Homeschool Association of Pennsylvania Information on homeschooling in PA. Learn about the law, find a support group, find forms, etc. Pennsylvania Home Educators Association Informative website has information about This site has lots of answers to your questions about logs, portfolios, evaluations, testing, and special needs in Pennsylvania. HEAV The Home Educators Association of Virginia operates within the context of a biblical worldview and served homeschool families in Virginia. The Organization of Virginia Homeschoolers A fully inclusive, member directed, and volunteer driven state association, VaHomeschoolers is neutral in matters of religion and partisan politics. This site has helpful information about homeschooling in Virginia. For those of you who live in Pennsylvania, there is the option to obtain a state-recognized high school diploma through one of the following groups. Most states don’t have this opportunity, and it is not a requirement to get into most colleges. Personally, we give our diplomas and keep transcripts ourselves. All our homeschool graduates who applied were accepted into colleges without a state-recognized diploma—except our last child who graduated after the new PA law went into effect. In addition to the one we give, he has the official Pennsylvania diploma that is signed by our evaluator. When would I recommend that you get into one of these programs? Well, if your student is not going to college, I think it would be wise to do this as a backup for documentation or if you aren’t too keen on the idea of making a high school transcript and keeping those records. Also, if your student is joining the military after high school, then it is good. If your student is applying to a college or technical school that doesn’t recognize homeschooling, then the diploma programs would be good. 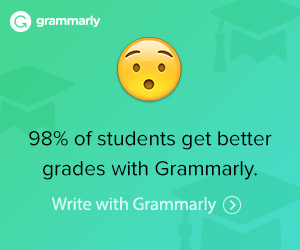 They can’t argue with a state-recognized diploma. You need to research the possibilities and see what is best for your student. Erie County Homeschoolers Diploma Association also has an honors diploma. Susquehanna Valley Homeschool Diploma Programs, Inc.
Camp Susque School of Discovery This Christian camp offers a homeschooling family camp, a School of Discovery, as well as summer camps for boys and girls.